The name Hartley is common in the area surrounding Cragg Vale and even at the time of the Coiners there was a prevalence of families with the surname. But the branch that is descended from the leaders of the Yorkshire Coiners does not necessarily spread far, and from what I have been able to establish, the only direct line of male descendants remaining is to me and my sons. The family tree below was traced back some years ago by my Grandfather, who proved the direct link between him and consequently my father and me to David Hartley. I have since re-drawn the tree and developed it through further research and verification which has added some details that were not on my Grandfathers original family tree. Additional information has also come to light through distant relatives contacting me through this website which has also allowed me to include some details that had previously been missing. 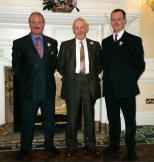 The family tree can be downloaded by clicking on the thumbnail below. The extent of the surname Hartley is highlighted by the names in red text and the direct line from David Hartley's father William to me and my sons by a bold red line. The link through the generations is actually not difficult to trace as the history can be plainly seen through the inscriptions on a total of three gravestones in two churchyards. 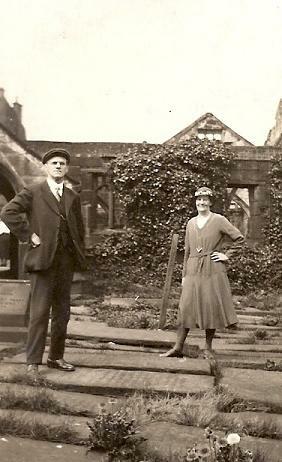 The old churchyard at Eastwood Congregation Chapel (now demolished) contains two gravestones, under which are the remains of three generations of Hartley's. In one lies my great great grandparents, Edwin and Eliza Hartley, with Edwin's parents John and Hannah Hartley; my great, great, great grandparents. Directly alongside is another gravestone, containing the remains of Isaac and Mary Hartley, the parents of John Hartley and my great, great, great, great grandparents. Isaac Hartley was also the youngest son of 'King' David Hartley and was born in 1769, shortly before his father was arrested. The remains of 'King' David Hartley himself and his wife Grace lie in one of the graves at Heptonstall, together with their eldest son David, and their grandson, also David. Alongside this grave is another gravestone containing 'King' David Hartley's brother Isaac and his wife Bessy. The links through the inscriptions for the earlier generations are supported through the probate record of Grace Hartley, David Hartley's widow, which is held in the Borthwick Institute at the University of York. This details the last will and testament of Grace Hartley, including her bequests to her sons, David and Isaac Hartley. Following the execution of David Hartley, Grace Hartley and her children remained at Bell House until David Hartley’s father William died in 1774, bringing his tenure at Bell House to an end. Records exist that show that Grace Hartley bought Lodge Farm a short distance away in Erringden for £260 from John Walker. It was Lodge Farm that Grace Hartley then left to her eldest son David in her will when she died in 1802 together with a substantial sum of money. She also left a substantial sum of money to her younger son Isaac, from whom I am descended, and some small sums of money to the sons of her daughter Mary, who had died a few years earlier. Records have been found in all census returns from 1841 right through to the recently released 1911 census, from which I have been able to establish the residence, age and occupation of many of my family members. It is also apparent that very little movement took place during the period and that the family remained within a very small area for almost two hundred and fifty years after Grace Hartley moved the family to Lodge Farm. The 1841 census records show that many of my family were still living at Lodge Farm in Erringden. 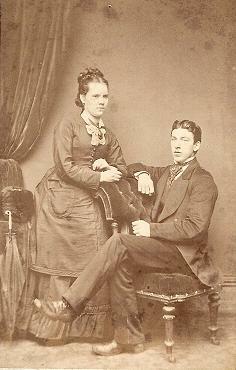 The head of the household was David and Grace Hartley's son, David Hartley, a Farmer, aged 75. 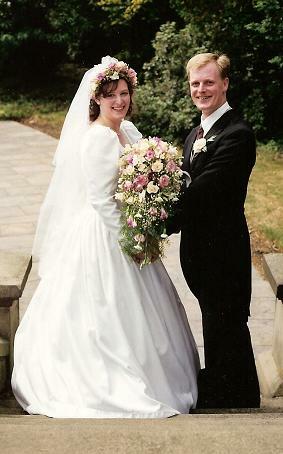 He lived with his wife, Prudence, aged 44 and their seven children, David (21), Anne (19), Mary (16), William (14), Grace (12), Betty (10) and Isaac (9). Also recorded as residing at Lodge farm at the time of the census is Davids Brother, Isaac, a Wood Turner, aged 70, with his wife Mally aged 60 and their son, John, aged 20. Isaac was my Great Great Great Great Grandfather and John my Great Great Great Grandfather. Johns birth is detailed in the first generation recorded in the family bible shown on the Hartley Family History page. It is interesting to note that immediately below the entry for the Hartley's is an entry for the Halstead family, residing at Thorps Farm and includes a daughter, Hannah, aged 9, who would eventually marry John Hartley and become my Great Great Great Grandmother. By the time the 1851 census was recorded, David Hartley had been killed in an accident (see below) and the head of the household at Lodge Farm was now his brother Isaac, a Gentleman, aged 82, living with his wife Mary (recorded as Mally in 1841 - her maiden name was Mary Mally), aged 74, and their son John, also a Gentleman and now aged 32. Also recorded in the census as head of the household was David's widow Prudence, now a Farmer aged 53, together with her three daughters, Mary (Schoolmistress, 26), Grace (Weaver, 22), and Betsy (Housework, 20); and her son Isaac (Scholar - 17). 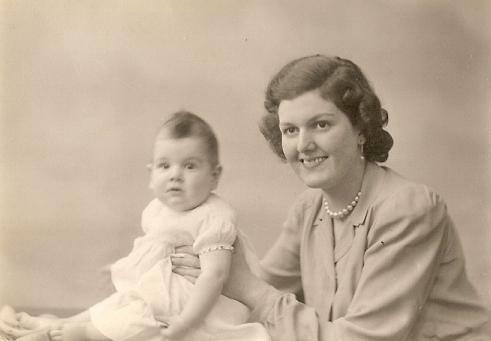 Also recorded at the time was another daughter Anne (now Anne Cheetham) a Dress Maker aged 29, with her own Daughters, Sarah Jane Hartley aged 3 and Mary Ann Cheetham, aged 1 month. As the newspaper report extracted from the Leeds Intelligencer on the left indicates, David Hartley had been tragically killed by a train on the 27th of March 1847. As he crossed the line at the station with his 14 year old daughter (presumably Betty), the approaching train struck him with its buffers and he was dragged under the train and killed instantly. The report indicates that the driver sounded the trains whistle but that David Hartley didn't hear this as he was profoundly deaf. 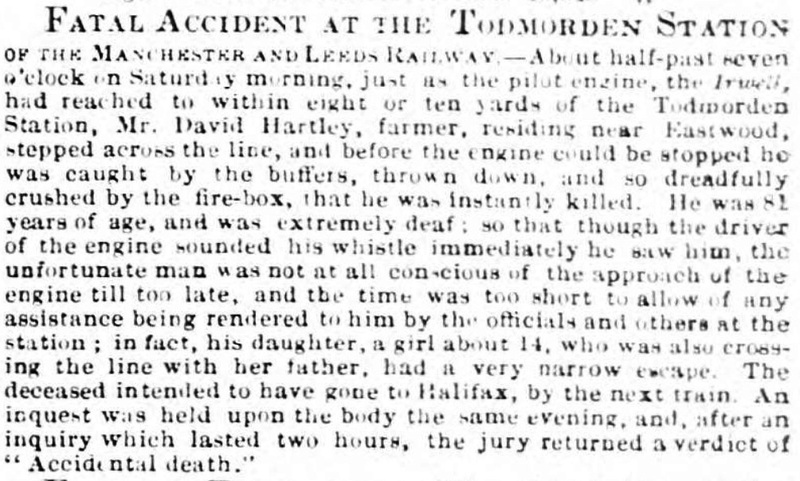 Whilst the report indicates that the accident happened at Todmorden station it was actually at Eastwood station, not far from the family home at Lodge Farm. The Manchester and Leeds Railway had only been open a very short time by this date, having been completed in 1841. The steam engine concerned was the "Irwell", an early George Stephenson locomotive, named presumably after the River Irwell in Manchester where Stephenson had constructed a viaduct across the river. 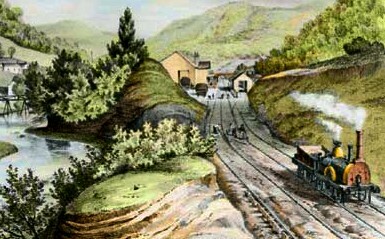 The "Irwell" would have been similar (if not the same) as the engine pictured on the right, which shows a steam engine leaving Hebden Bridge station around 1845, two years before David Hartley's accident. It is possible that the engine pictured is actually the "Irwell". Lodge Farm was still the residence of the Hartley's according to the 1861 census, but by now the head was John Hartley, a Wood Turner, aged 42, who lived with his wife Hannah (nee Halstead as mentioned above) aged 31, and their son Edwin (5) and two daughters, Helen Anne (3) and Mary Jane (4 months). Edwin was my Great Great Grandfather. Also, still recorded as a household head at Lodge Farm was Prudence Hartley, still a Farmer and now aged 63, with her daughters Mary (Schoolmistress - 36) and Grace (Dairy Maid - 32). 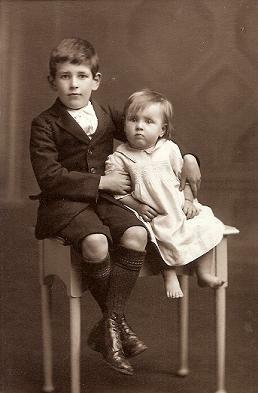 Prudence's Granddaughter Sarah Jane Hartley, now aged 13, was also at Lodge farm at the time of the census, as were two visitors, James Halstead, a Dyer aged 26, with his wife Sarah aged 21. It is possible that James Halstead was related to Hannah Hartley, but is not present in the Halstead family of Thorps Farm in the 1841 census, so is presumably not a brother. By 1871, the family had been split between two neighbouring residences. Hannah Hartley, now John Hartley's widow was the head of the household at Oaks Farm and was recorded as carrying out Domestic duties, aged 41. She lived with her eldest son, Edwin (Cotton Factory Operative - 15) her three daughters, Ellen Anne (Cotton Factory Operative - 13), Mary Jane (Cotton Factory Operative - 10) and Elizabeth Hannah (Scholar - 8) and her youngest son, George Isaac (Scholar - 2). Prudence Hartley meanwhile was still residing at Lodge Farm, now 73 and also recorded as Domestic Duties. Her daughter Mary (School Teacher - 46) and son William (Commission Agent - 44) also lived at Lodge Farm. Hannah Hartley had died by the time the 1881 Census was carried out and Edwin Hartley was now the head of the household, recorded as a 25 year old Sawyer and lived with his wife Eliza (nee Wood - 23), their son Albert Edward (2) and daughter Phoebe Millicent (5 months). Also living with them were Edwin's three sisters Ellen Anne (23), Mary Jane (20) and Elizabeth Hannah (18), all Cotton Weavers, and his brother George Isaac (Scholar - 12). Prudence Hartley was 83 by this time and had now moved to nearby Burnt Acres Farm, with her daughter Mary (School Teacher - 56), son William (Chemical Labourer - 54), and her other daughter Betty (House Keeper - 50). 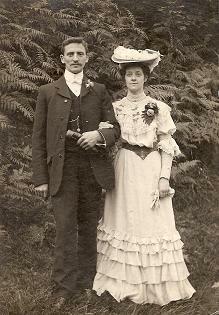 When the 1891 census was recorded, Prudence Hartley had died and four of her children had moved back to Oaks Farm to live with their Uncle, Hannah's brother William Halstead (Joiner, Builder and Farmer - 57) and his wife Mary (53). They were Helen Anne Hartley (33), Mary Jane (30), Elizabeth Hannah (26) and George Isaac (22). 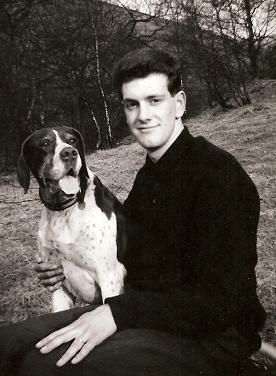 Edwin Hartley had now moved with his family to number 28 Cockden Hill and was now 35 and working as a Wood Cutting Machinist. His wife Eliza was now 33 and they lived with their five children, Albert Edward (12), Phoebe Millicent (10), Ruth Eveline (8), Percy Burnaby (3), all Scholars, and Herbert Wilfred (1). 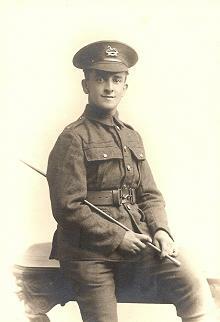 Percy was my Great Grandfather and therefore the first generation I actually met. The 1901 census indicates that Edwin (Joiner Machine Hand - 45) had now moved a short distance down the road to number 25 Cockden Hill. As in the 1891 census, he still lived with his wife Eliza (43) and five children, Albert Edward (Joiner Machine Hand - 22), Phoebe Millicent (Cotton Weaver - 20) Ruth Eveline (Cotton Weaver - 18), Percy Burnaby (Joiners Apprentice - 13), and Herbert Wilfred (Scholar - 11). 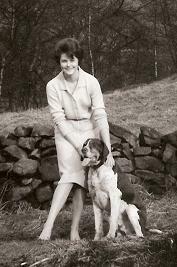 Elizabeth Hannah Hartley was now married to Tom Dawson, a 38 year old Gentleman's Gardener and lived at Lower Stoodley with their daughter Doris. Elizabeth's sister Helen Anne was also resident at this address at the time of the census. 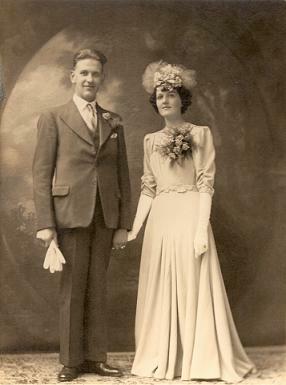 Their Brother George Isaac Hartley (Joiner - 32) had also married, to Betsy Dewhirst (29) and lived with her parents George (Retired Farmer - 75) and Martha (67) and her sister Hannah (Cotton Weaver - 34). Mary Jane Hartley was by now married to Thomas Henry Sutcliffe, a widower with four surviving children from his first marriage to Mary Hodgson. They lived at 312 Halifax Road, Todmorden with Thomas Sutcliffe's children William Gregory (Cotton Cloth Warehouse - 14), Garnet (School - 12), Arnold (School - 10) and Edith (School - 8). Thomas Sutcliffe's sister Sarah (Cotton Weaver - 43) was also living with the family at the time of the census. The 1911 census shows that Edwin Hartley had now moved with his wife Eliza and their children to 2 Off Halifax Road, Todmorden. Edwin was now 55 and listed as a Wood Sawyer. 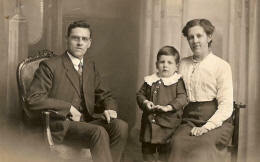 Living with Edwin and Eliza were three children; Ruth Eveline (Cotton Weaver- 27), Percy Burnaby (Joiner - 23), and Herbert Wilfred (Cotton Weaver - 21). 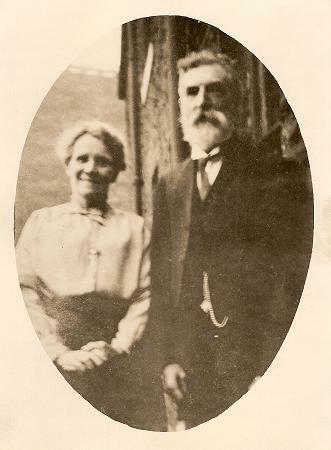 Edwin's sister Elizabeth Hannah was now 53 and living with her husband Tom Dawson (Gardener Domestic - 48) and their two daughters Doris (School - 14) and Mabel Marion (School - 7) at Marsh Grove, Cragg Vale, Mytholmroyd. 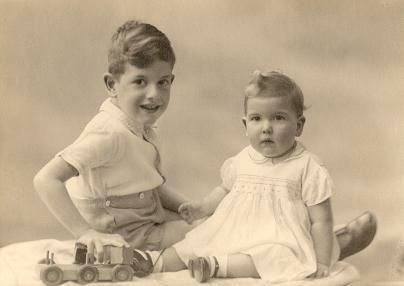 Elizabeth's sister Helen Ann (Cotton Reeler - 53) was also living with the family. Helen Ann never married or had children. 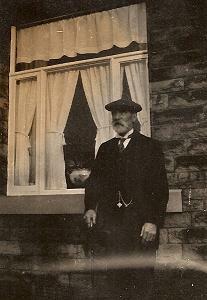 George Isaac Hartley (Carpenter and Joiner - 42) was living with his wife Betsy (39) at 4 Scar Bottom, Mytholmroyd. They never had any children. Mary Jane (50) lived with her husband Thomas Henry Sutcliffe (Cotton Warp Dresser - 46) and three of his children from his first marriage at 1 Turf Street, Radcliffe, Manchester. William Gregory (Cotton Warp Dresser - 24), Garnet (Cotton Warp Dresser - 22) and Edith Annie (Cotton Weaver Coloured - 17) lived with them at the time of the census. 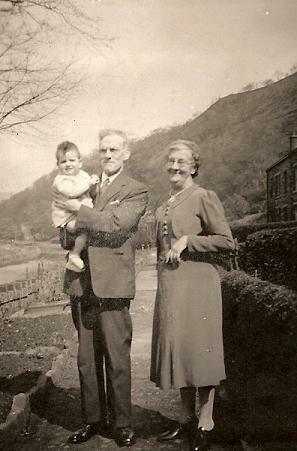 Edwin's oldest son Albert Edward Hartley (Joiner Machinist - 32) lived with his wife Annie (31) and their daughter Winifred (Infant - 3) at 19 Back Victoria Terrace, Todmorden. 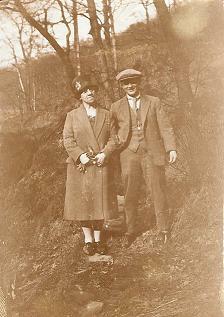 Edwin's oldest daughter Phoebe Millicent (30) was now married to William Sutcliffe (Picker Maker - 32) and lived at Stoodley Glen, Eastwood, Todmorden, with their two children Percy Burnaby (3) and newborn Eveline May. The map on the left shows the locations of some of the homes of my ancestors described in the census information previously, from David Hartley through to my Grandfather. 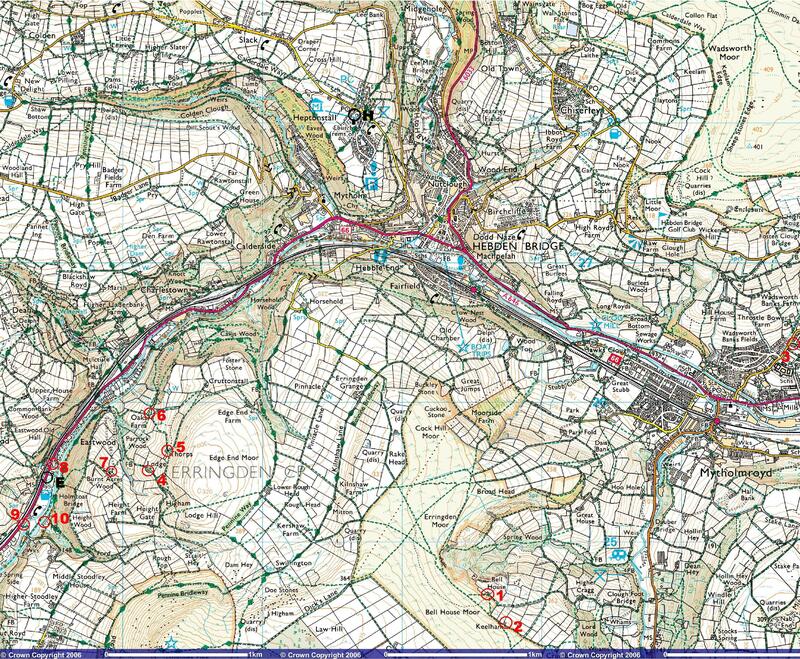 Also shown are two of the key burial grounds containing Hartley graves at Eastwood and Heptonstall. 1 - Bell House - Home of "King" David Hartley, the leader of the Yorkshire Coiners. 2 - Keelham Farm - Home of John Wilcock, one of the senior members of the Coiners gang. 4 - Lodge Farm - Purchased by Grace Hartley shortly after David Hartleys execution and home to Hartleys until as late as the 1871 census. 5 - Thorps Farm - Home to the Halstead family at the date of the 1841 census. 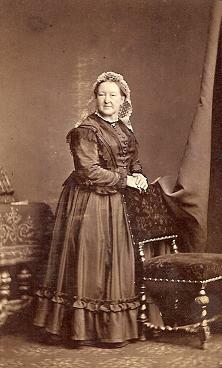 Hannah Halstead, one of the daughters, married John Hartley. 6 - Oaks Farm - By the time of the 1871 census, home to John Hartley, his wife Hannah and their five children. 7 - Burnt Acres Farm - Home of Prudence Hartley and three of her children at the date of the 1881 census. 8 - Cockden Hill - Edwin Hartley lived at number 28 (1891 census) and number 25 (1901 census) with his wife and five children. 9 - Victoria Terrace - Home to Percy Hartley, wife Ethel and my Grandfather Maurice during his formative years and to Albert Edward Hartley (1911 census). 10 - Stoodley Glen - Final homes to Percy Hartley (number 11) Maurice Hartley (number 9) and Phoebe Millicent Hartley (according to the 1911 census). H - St Thomas a Beckett, Heptonstall (ruin) - Contains two main graves including that of "King" David Hartley. When my Grandfather died, I inherited a fantastic collection of old family photographs which included images of many of the family members described above. Unfortunately I am not able to confirm the subject pictured in the oldest photograph, but by dating the photograph by its method of production and judging by the age of the subject I am able to narrow it down to two strong possibilities. The photograph is actually known as a Daguerreotype, produced on a silvered copper plate. The exposure would have taken up to 20 minutes before the picture was developed by holding the plate over a heated bowl of mercury and fixing in warm salt water. Because of the delicacy of the final image, these photographs were housed under glass, as this particular image is. The picture is distorted around the edges where air has entered and the surface has oxidised. The technique was developed in 1839 and was popular until the middle of the 1850's. 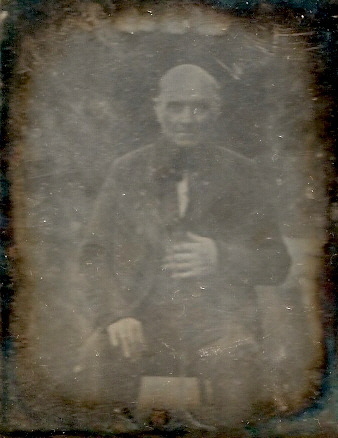 On this basis and given the age of the man in the photograph, I believe it is one of "King" David Hartley's sons; either David (1766-1847) or Isaac (1769-1853). It is unlikely I will ever know for certain. Fortunately the subjects in the more recent photographs have been able to be identified, thanks in part to the assistance of my Great Aunt Mildred. Several of the photographs, including the Daguerreotype described above, have been scanned and are included below. Those that have confirmed subjects cover six generations and if the Daguerreotype is Isaac or David Hartley this would extend the coverage to eight generations. 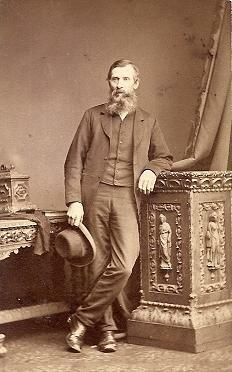 The only gap in the photographs would then be John Hartley (the son of Isaac); my great, great, great grandfather. Hovering your mouse pointer over the thumbnail picture will indicate the names of the people in the photograph and clicking the thumbnail will open up the full size picture in a new window.